I was looking at an online store that sells children’s and babies clothes and came across some really cute things that I wanted to buy for Preston. I went halves with a friend on the postage to make it more affordable (my biggest gripe about shopping online is the cost of postage!) and our haul arrived today!! 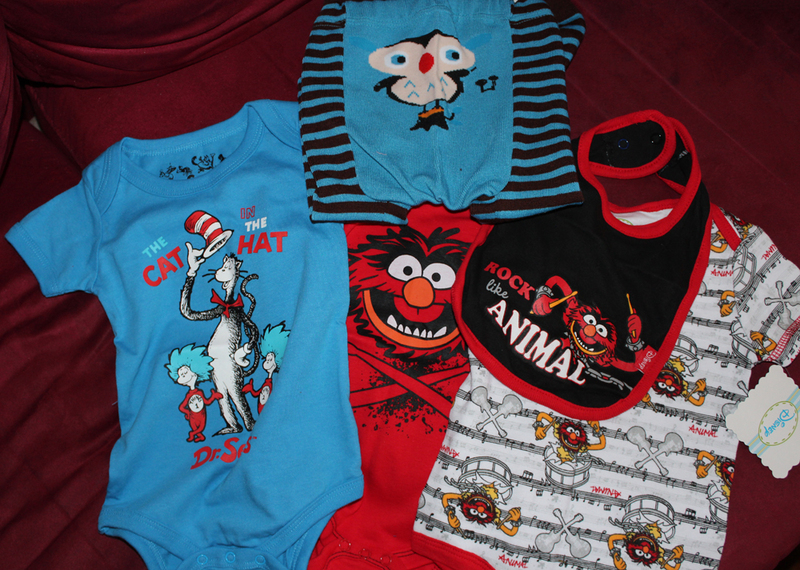 What I got: Cat in the Hat onesie for $7, Animal (from the Muppets) x2 Set of Onesies and Bib for $10 and a pair of owl leggings for $3.50! They are all still a little big on him but that’s ok, they will fit soon enough!